- The way a mineral breaks apart is another clue to it's identity. - If a mineral breaks along planes (smooth, flat surfaces), it is said to have cleavage. 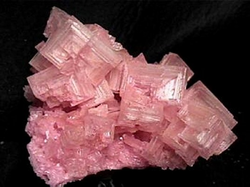 - Mica is an example of a mineral with cleavage. Separating the layers of mica is like separating the pages of a book. - Not all minerals have cleavage. Minerals that break with rough or jagged edges have fractures. 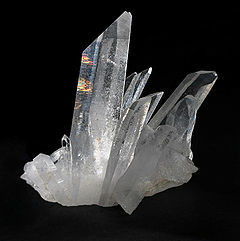 - Quartz is an example of a mineral with fractures. - To be able to examine if a mineral has cleavage or fractures, you need look at a piece of freshly broken surface of a mineral.